Everywhere chimpanzees roam, scientists have uncovered more fascinating behaviors they increasingly describe as chimpanzee “culture” — learned traditions that vary by location. But a recently published study suggests that humans may be destroying and limiting the transmission of these chimpanzee traditions. Sonar readings from New York’s Hudson River hint at a revival for the embattled Atlantic sturgeon. Could this river giant be making a comeback? Would you rather have brains or a built-in defense system? 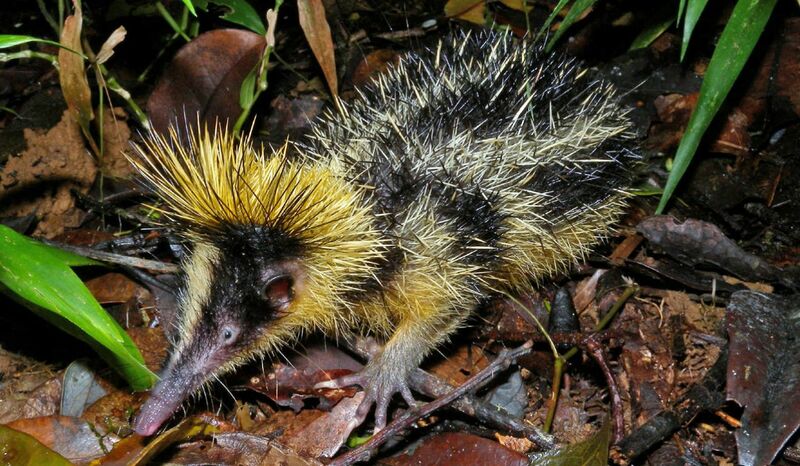 These little mammals of Madagascar appear to have undergone an interesting evolutionary tradeoff. Finally, here is some good news for bighorn sheep – Translocation efforts in Arizona have had positive genetic outcomes, with no signs of reduction in genetic diversity over a short period or erosion of ancestral lineage. To learn more about the plight of bighorns, take 15 minutes and watch our short film, Running With The Herd.